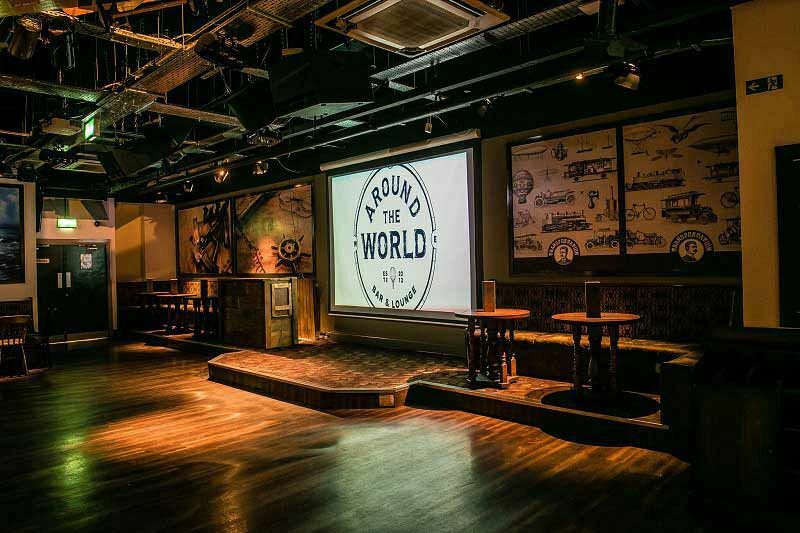 This festive season, you’re invited to experience the world in one night, at the fantastic ‘Around The World’ bar in Manchester’s popular Printworks complex. Perfect for an exclusive celebration, you and your team will enjoy your very own private section of venue, where you’ll relax and unwind away from the pressures of the work place. 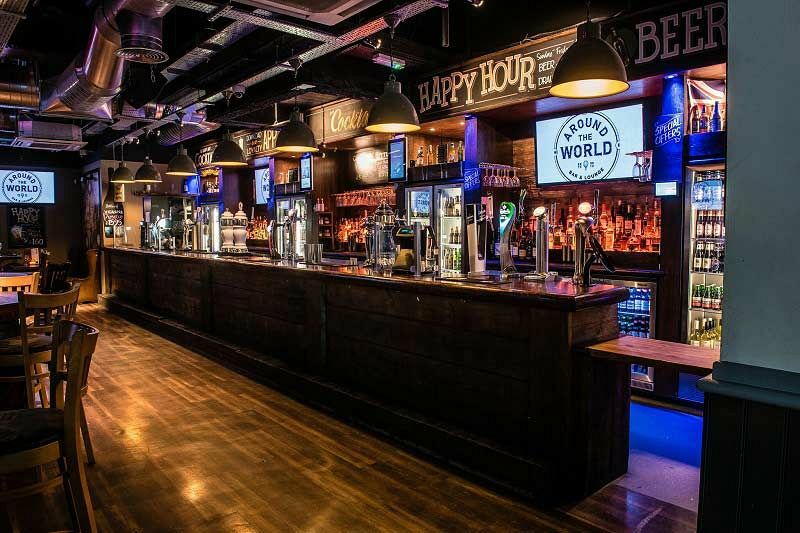 The beauty of this bar is all in the name, because here, you’ll be able experience an extensive choice of drinks from every corner of the globe – choose from 100 beers from 33 countries, a variety of Red, White and Rose wines from every continent, along with sparkling wine and Champagne if you’re after something extra special. 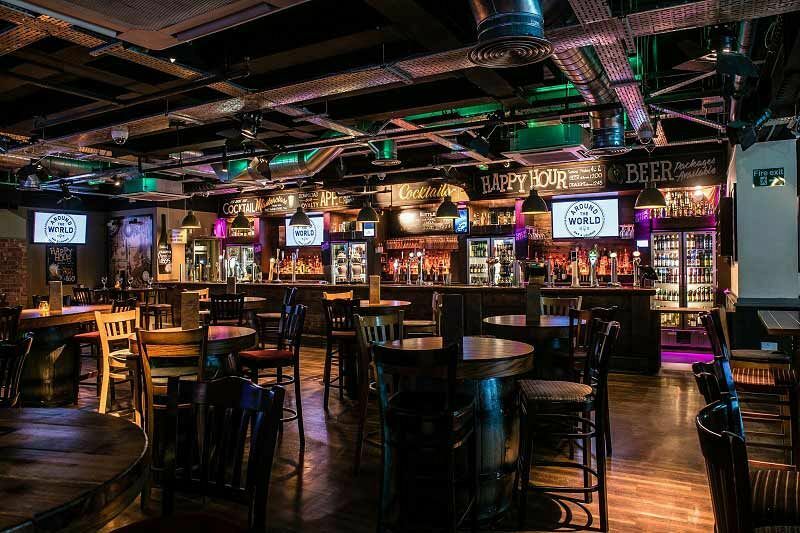 For those that prefer cocktails, don’t worry because this great venue will have you covered. From Cuban delights including Strawberry Mojitos and Daquiris to American favourites such as The Long Island Iced Tea. But first, you’ll need to line your stomachs with some of the venue’s mouth-watering food – choose from tempting canapes, and luxurious buffets to two and three course dining options. With food and drink packages available to suit every budget, no one will have to miss out this festive season! 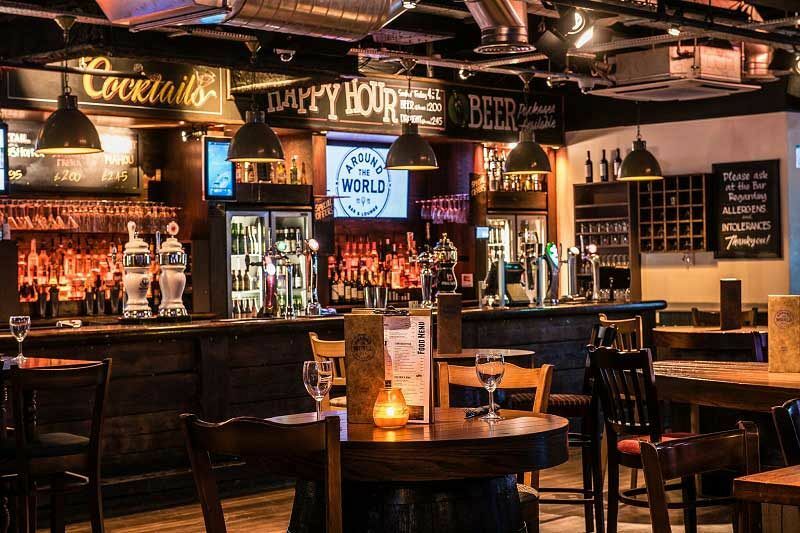 With vibrant and stylish interiors and boasting a friendly, laid back atmosphere, you and your team will feel at home as soon as you step through the door! Get ready to let your hair down and celebrate all the fun of the festive season and experience the world in one night at this incredible venue - send an enquiry through today!